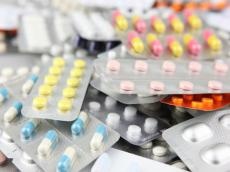 There have been some changes in the pharmacy memorandum signed between Iran and Azerbaijan, Javad Jahangirzadeh, Iran's ambassador to Azerbaijan, said at a press conference, Trend reports. According to Jahangirzadeh, the change is due to production of 84 medicines in the pharmaceutical plant. Jahangirzadeh added that a production license should be issued for each drug. "As such, discussions should be held with the relevant authorities in Azerbaijan, including the Ministry of Health and the Ministry of Economy for issuance of a separate license for each drug," he said, adding that this would require some time, as Azerbaijan wants to produce high-quality medicines. According to Jahangirzadeh, negotiations were held with pharmaceutical companies in Europe, India and other countries. "These companies have been presented to the Azerbaijani side. Now it is up to Azerbaijan to decide which license to work with." "Soon, representatives of a company will visit Azerbaijan and negotiations on production of medicines will be held," he said. The opening ceremony for the joint Azerbaijan-Iran pharmaceutical plant, Caspian Pharmed, was held in the Pirallahi District of Baku in January 2017.